17, Suhasnagar Society, B/H Sales India , B/H Prabhudas Jadiya Jewellers, Ashram Road, Ahmedabad, India 380009. 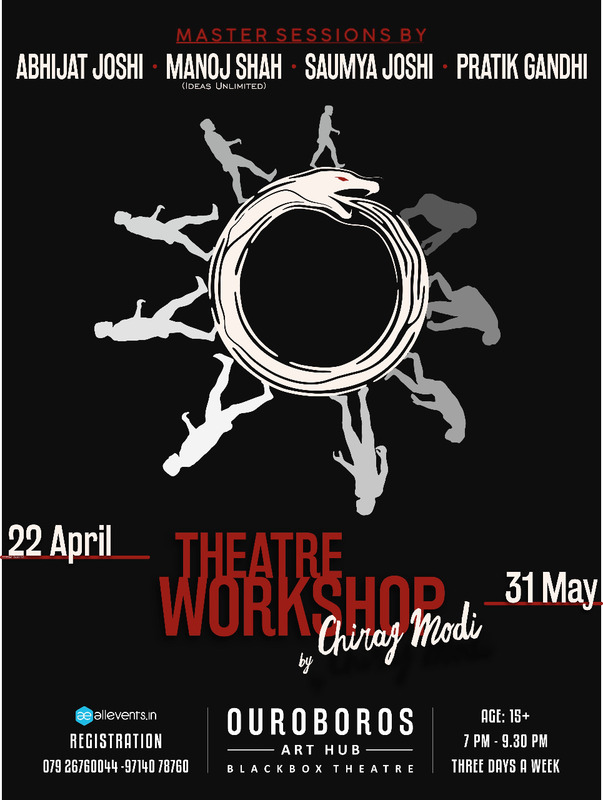 Announcing 20th Season of the most awaited Theatre Workshop in Ahmedabad !! RANGAYAN is a Theatre & Acting Workshop for Anyone & Everyone. With Rangayan you can – Learn an Art Form, Sharpen your Communication Skills, Explore yourself & break the inhibitions within YOU – Ultimately discover yourself through Theatre !! Limited Seats Left, HURRY !! 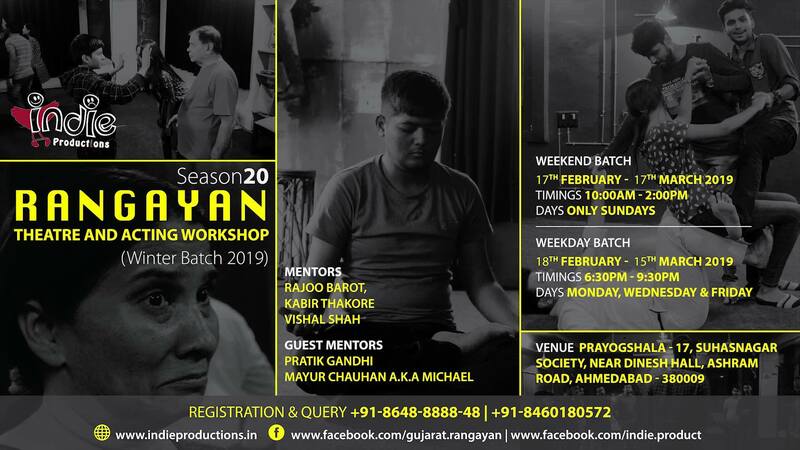 Rangayan is open for all workshop which covers all the basics of Theatre & Acting. We believe Theatre or Acting cannot be taught but it can definitely be learnt. Hence, we use theatrical exercises and improvisations which make you learn the basics creatively. 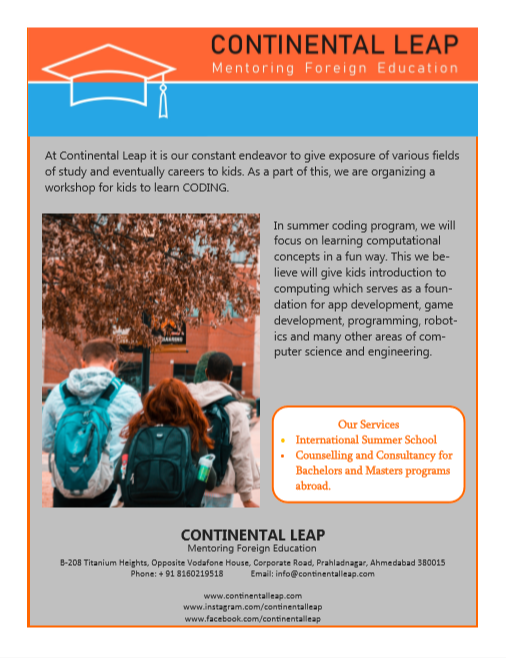 The workshop is designed by experts of the field and subjects are divided among the mentors according to their forte to make sure that you get the best. 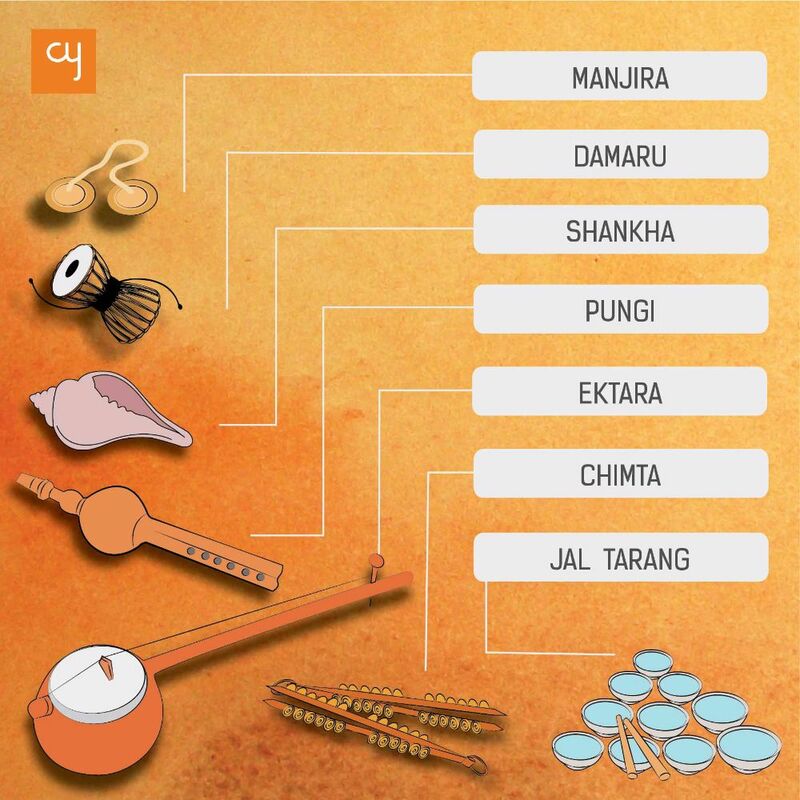 Rangayan will be basically your first step towards the stage. During the workshop or post the workshop, you either get introduced to a new art form or you get the basics clear before pursuing a career in Acting or you realize if you really want to pursue this as a career. Perhaps, you will realize all of it together! One thing that is sure is that no one goes back without getting something out of the workshop. Ultimately if nothing, we promise you would be a better human being then what you were by the time workshop ends ! For more details about the Mentors, Experiences of previous participants, etc. 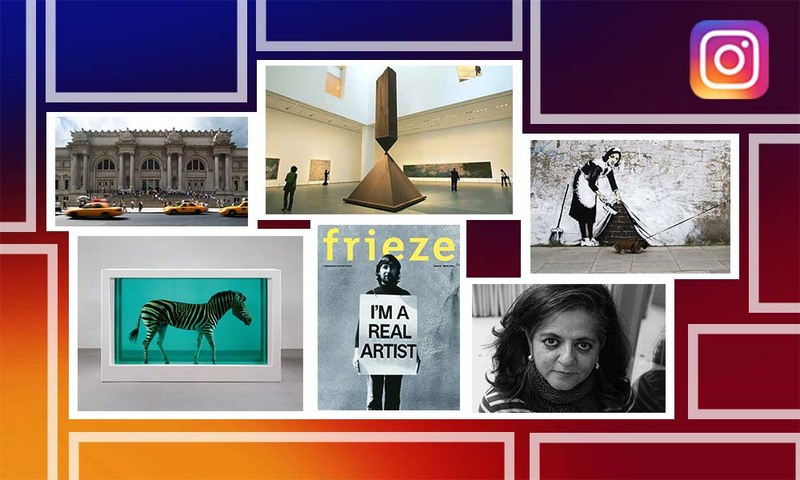 do visit out Facebook Page. Break Learn Make workshop is for kids who love to question, explore and wants to see what is inside everything and how do all machines work? 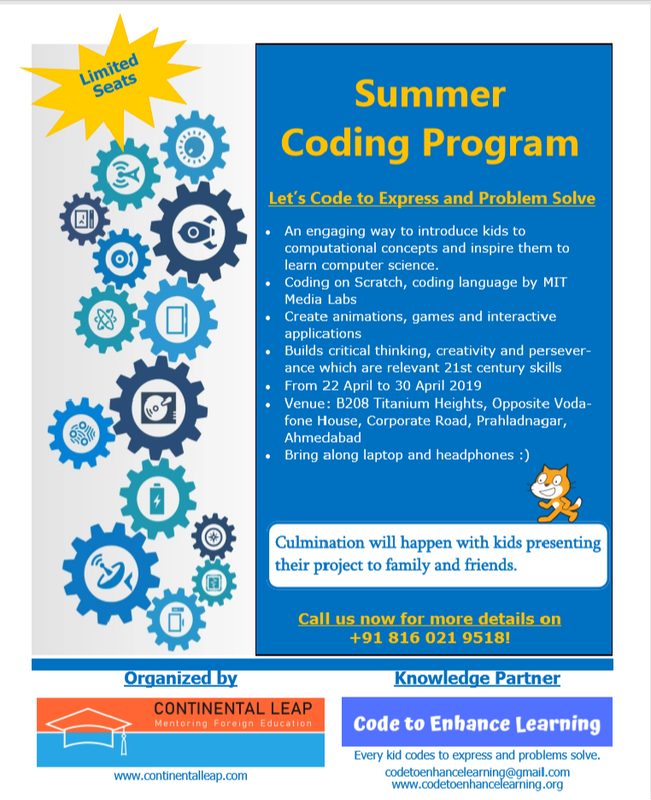 Break Learn Make workshop is experience based and is designed to show children working mechanism of day to day electrical appliances like Musical Appliances, Buzzer, Walkie Talkie, etc. We allow them to break and then learn. Not only this, we want them to make their own electrical appliance. 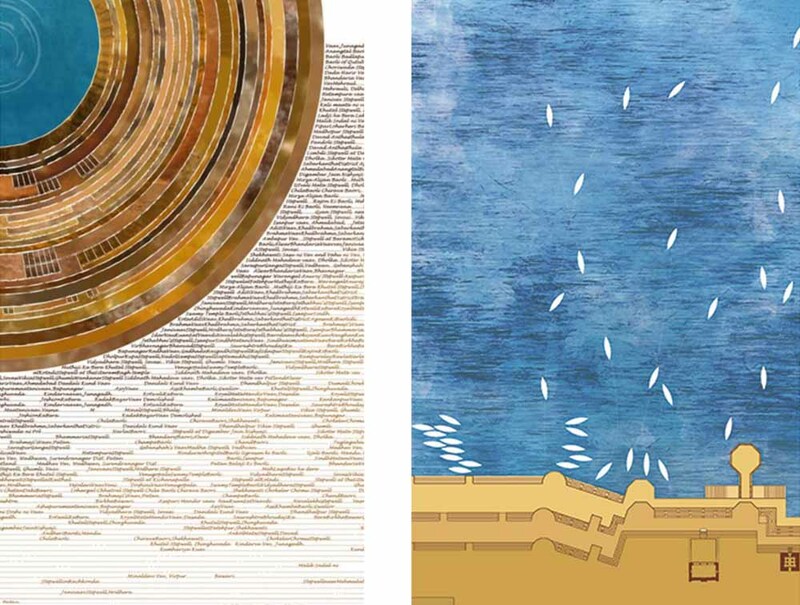 Let kids explore how Musical Appliances work from inside. Kids will also explore working of Walkie Talkie, Motor, Buzzer, Clock, etc and will make a model for the same. Source : Facebook. Break Learn Make workshop is for kids who love to question, explore and wants to see what is inside everything and how do all machines work? 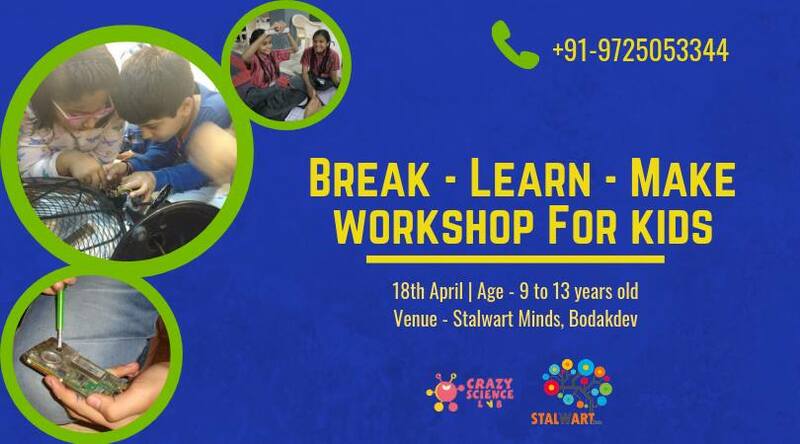 Break Learn Make workshop is experience based and is designed to show children working mechanism of day to day electrical appliances like Musical Appliances, Buzzer, Walkie Talkie, etc. We allow them to break and then learn. Not only this, we want them to make their own electrical appliance. Let kids explore how Musical Appliances work from inside. Kids will also explore working of Walkie Talkie, Motor, Buzzer, Clock, etc and will make a model for the same. 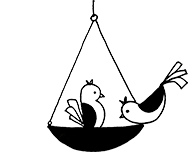 Stalwart Minds, 4 – Aagman society, Opposite Mother Dairy, Sambhav press road, Bodakdev. This is a one and a half month long workshop which will focus on all the different areas, that together reflect Theatre as a whole. Be it Acting, Writing, Direction or else. National Award-winning screenwriter and academic Abhijat Joshi is best known for his association with Vidhu Vinod Chopra and Rajkumar Hirani, with whom he has penned some of the biggest and critically acclaimed Bollywood blockbusters since the turn of the millenium: ‘Lage Raho Munna Bhai’, ‘3 Idiots’, ‘Sanju’ and ‘PK’ to name a few. An artistic director having more than 30 years of experience in all different genres of entertainment like Cinema,Theatre, etc. He has created more the 115 plays till now. Some of his noted works are plays like ‘Master Phoolmani’, ‘Mareez’, ‘Hun Chandrakant Bakshi’, ‘Mohan no Masalo’, ‘Karl Marx in Kalbadevi’ to name a few. Saumya Joshi is a well-known name for his plays, including ‘US of Pada ni Pol’, ‘102 Not Out’, ‘Welcome Zindagi’ and ‘Aaj Jaane ki Zid na Karo’ are some of his notable works in Gujarati theatre. His other credited works include ‘102 Not Out’, a Hindi film starring Amitabh Bachchan and Rishi Kapoor. Who does not know him ! The face and the body of the indistry. Pratik has featured in several films such as ‘Love ni Bhavai’, ‘Wrong Side Raju’, ‘Ventilator’ and a bollywood film ‘Mitron’ where he co-starred with Jacky Bhagnani. His skills in Theatre as well cannot go unnoticed: ‘Mere Piya Gaye Rangoon’, ‘Mohan no Masalo’, ‘Hun Chandrakant Bakshi’ are a few of them. Apart from being a skilled theatre director, he is also the founder of Ouroboros. His vision has served many theatre aspirants and as a result, he became a pioneer in the field by making “Gujarat’s First BlackBox Theatre: Ouroboros Art Hub” Some of his notable and award-winning plays include ‘Babes in the Wood’, ‘Dabo ane Jamano’, ‘Darr no Wagh’ and ‘The Good Doctor’. 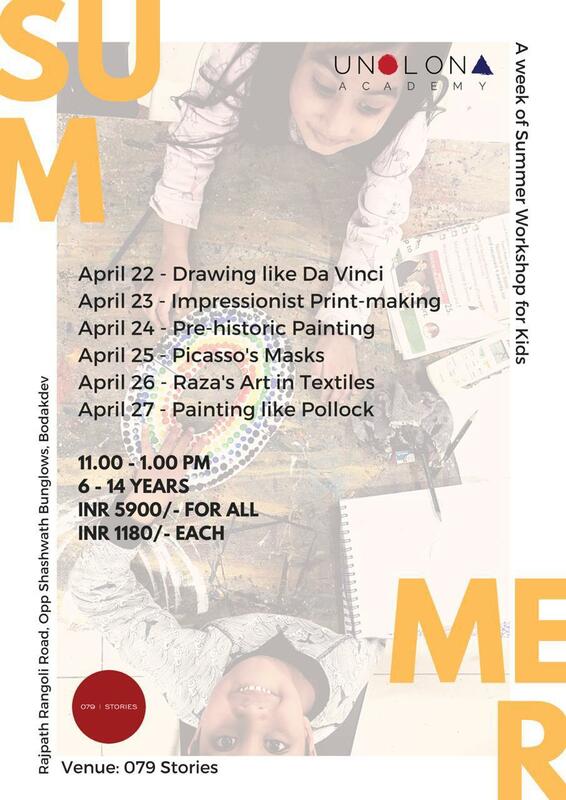 Summer Workshop by Unolona Academy – a week of summer workshops for Kids.